The first stop on our Caribbean cruise on the Celebrity Summit was the island nation of Barbados. 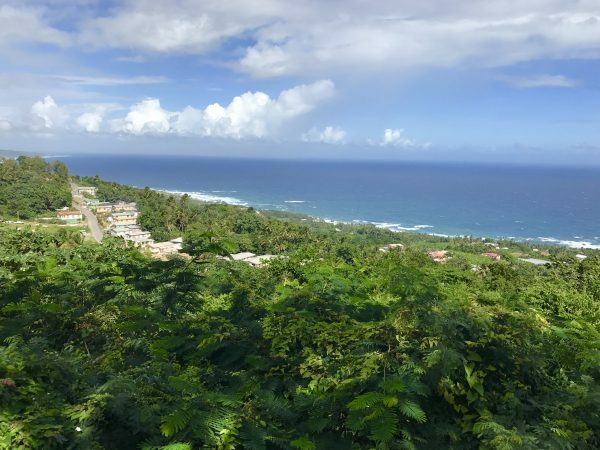 Twenty one miles long by 14 miles wide, Barbados is home to nearly 300,000 people if there are not ships in town. Our ship was one of about five docked there that day, meaning the population on the island grew by more than 10,000 for a short time. Talking to the locals, that’s pretty normal for this time of year. 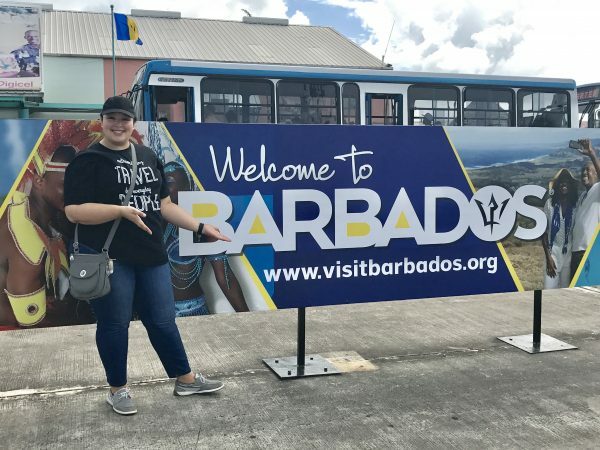 Meghan was happy to show off this Welcome to Barbados sign at the port. 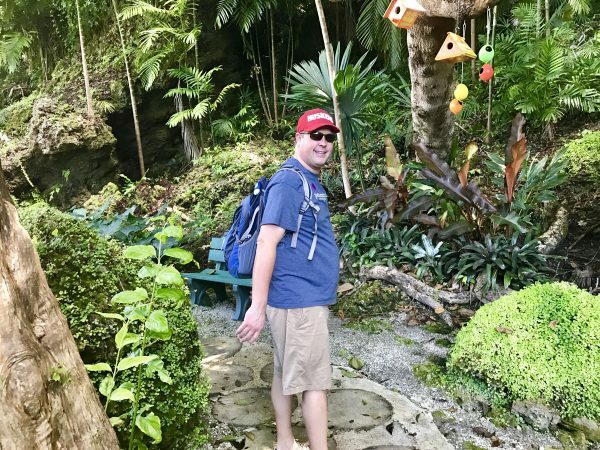 Having never been to Barbados, we booked an excursion called “Best of Barbados” through Celebrity Cruises that would take us around the island to see some of the highlights of the tropical wonderland. Our ship was parked right up front meaning that we didn’t have to walk as far as folks on other ships (a good thing when the ships park front to back and are over 1,000 feet long) so we were able to walk right up through the terminal to where the buses are parked for the excursions. We found our bus, got on, and sat down. Sort of. I’m not sure I’ve ever been in a seat with such a small amount of legroom. As you can see from this picture, leg room was quite limited on the tour bus we took around Barbados. 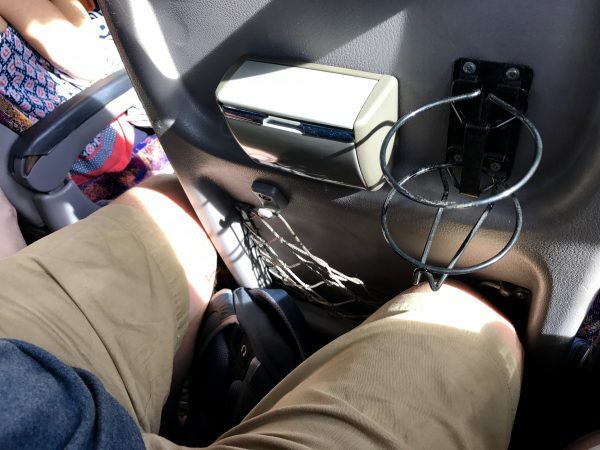 Steve is 6’4″ and could barely fit his legs into the seat. 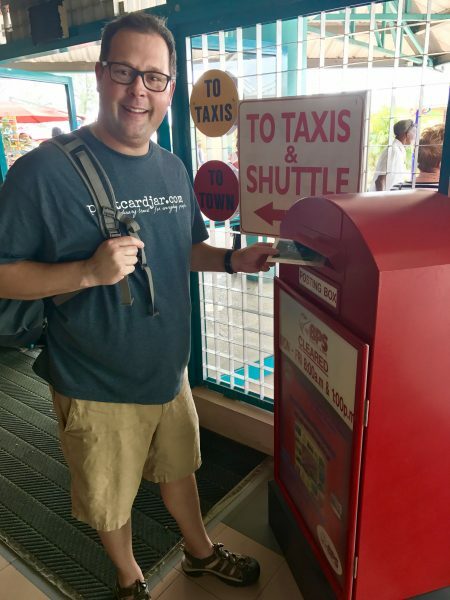 The tiny amount of legroom was a small price to pay, however, in order to see the wonderful sights on Barbados. 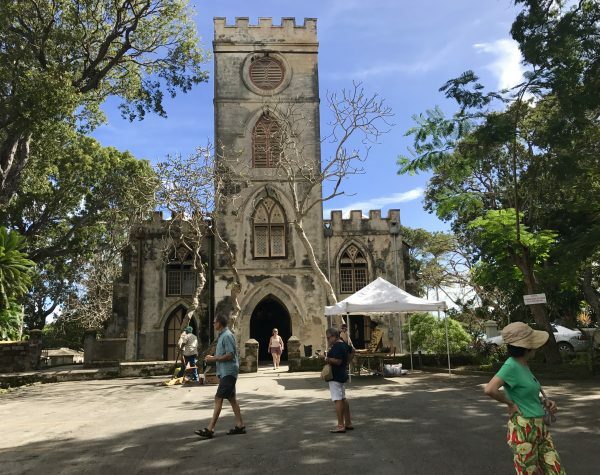 We drove for about 30 minutes while our guide explained some of the history of the island and its sugar industry as we headed toward our first stop: St. John’s Parish Church. The first church was built on this site in the 1600’s, with the present-day church completed in the early 1800’s. The church is high on a hill with some amazing views around it. The views from the back of the church were absolutely stunning – even on a cloudy day. Behind the church is a graveyard that dates back to the first church building. 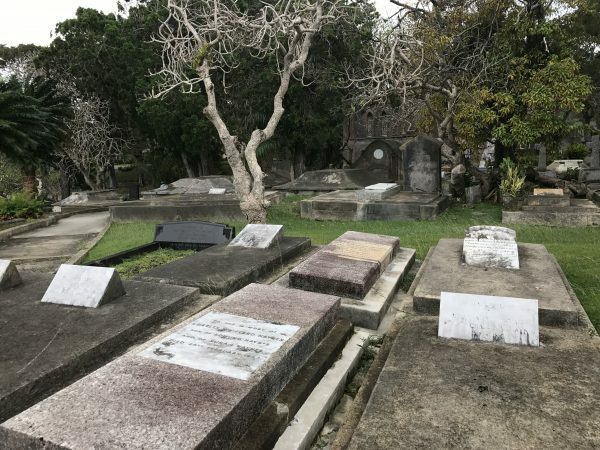 The cemetery at St. John’s Parish. There was a wall around the cemetery, presumably because people are just dying to get in, which, if you saw the incredible view, you’d understand why. 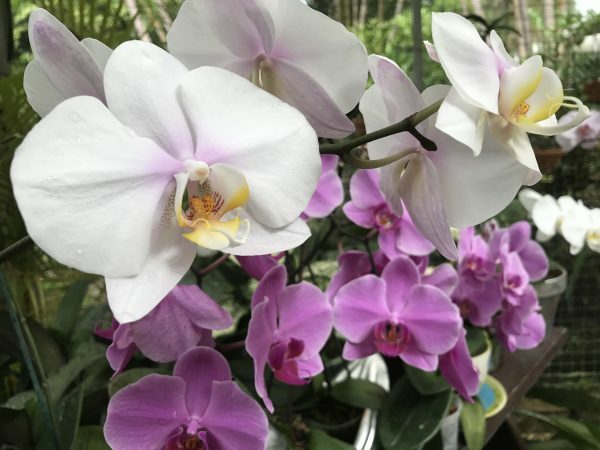 From St. Johns, we folded ourselves back onto the bus and headed toward our favorite stop of the day, Orchid World. 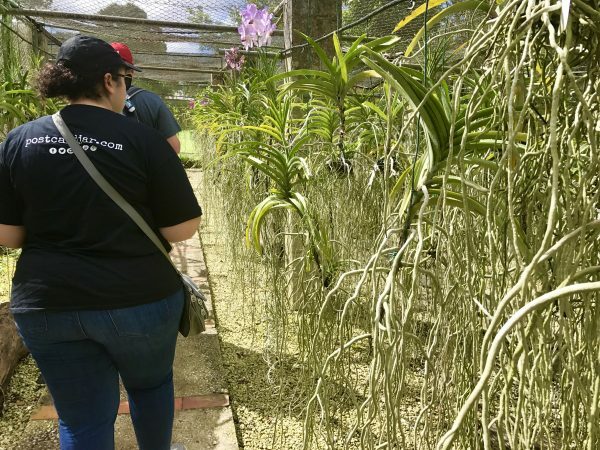 We had a great tour through Orchid World where we learned about all of the plants and birds there. 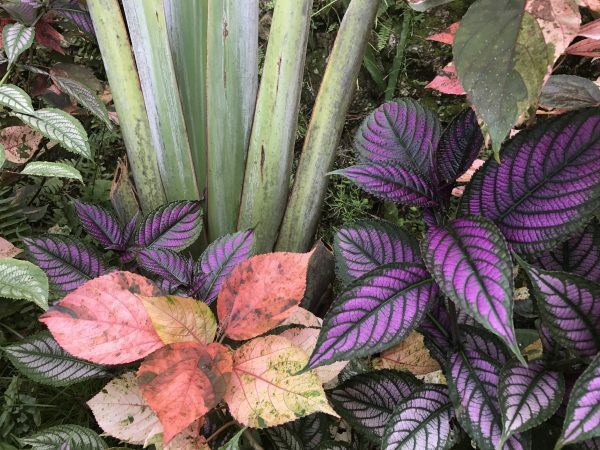 Once there, our guide led us down a beautiful path and shared with us examples of local plant life. We learned about plants like the Traveler’s Palm and how early travelers knew they could find drinkable water in it. 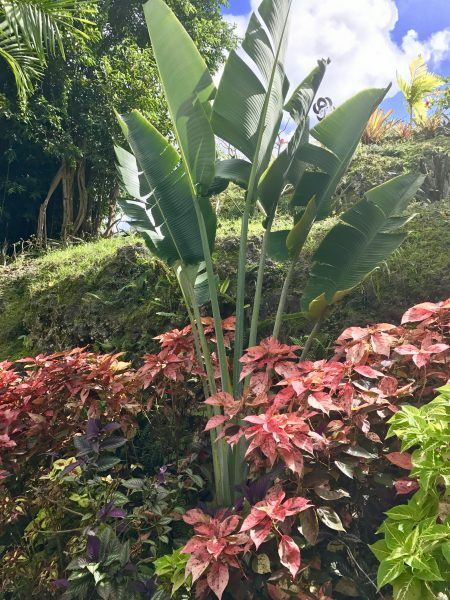 This Ravenala plant is often called the Traveller’s Palm because it can be bent to produce water for weary travelers. Notice the bottom left stem of the green plant where it is broken off. This is likely where gardeners cut the plant to get a drink. We also walked through structures that held hundreds of beautiful orchids. This took a while because people kept taking pictures–and if you look at some of the photos Ann took, you can see why. The flowers at Orchid World were just beautiful. The exposed root systems from the orchid plants were so interesting. Personally, I have never been able to keep them alive. Our Barbados journey had a third stop, (I lived for any opportunity to get off the bus and stretch my legs) a signal station that was largely unremarkable save for the amazing vista over the countryside and ocean from the tower where the soldiers stood to pass messages around the island using a series of flags. Beautiful view, but when it started to sprinkle, we were happy to get back on the bus (until it was time to sit down, anyway) and head back to the port. Back in port, we stuck our noses in a few of the shops, found a postcard, a stamp, and dropped it in the mail. We wandered back out toward the ship, reminiscing about all the wonderful things we’d seen that day. 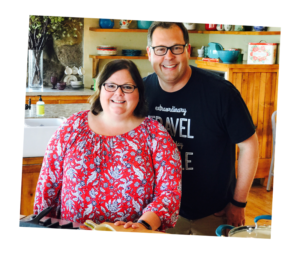 We were glad to be on vacation, in a new place, and seeing new things. The trip was still young–this was the first of five ports of call–and we were looking forward to exploring more sites in the days to come. Next stop — St. Lucia. Have you been to any islands in the Caribbean? What was your favorite? Let us know, we’d love to hear from you.